We hope you're getting just as excited as we are over here at the Wild Vibes team about spending an entire day filled with creativity and community in nature. There are so many unique offerings and incredible additions to this year's Wild Vibes Festival, so to ensure you get the most out of this special day, we've compiled the "Wild Vibes Guide," with everything you need to know, before you go. ✣ Location: We're thrilled to be returning to the stunning family-owned location of SPRING HILL in South Berwick, Maine. The festival campground overlooks a beautiful pond with a field nestled along the forest. First things first: have you grabbed your all access ticket to Wild Vibes Festival? Early bird ticket prices have ended, but you can still save on ticket costs by purchasing your ticket ahead of time! ALL ACCESS TICKETS ARE NOW AVAILABLE FOR $68 (tickets will be sold for $75 day of!)! ✣ Did you know? You can purchase a MUSIC ONLY PASS! We have a killer line up of musicians and bands participating in this year's Wild Vibes Festival, including RYAN MONTBLEAU BAND, and this pass gets you entry into the festival and access to enjoy ALL of the music, marketplace, and art performers, ALL DAY LONG! This pass is just $20! You read that right! $20 for ALL live music (tickets will be $30.00 day of). ✣ KIDS ages 12 & UNDER ARE FREE! With an accompanying adult, kids ages 12 and under, are free to attend the Wild Vibes Festival. Don't worry parents, while you're soaking in all the festival has to offer, your kids will be having just as much fun over at the KIDS CAMP CORNER where you can drop your kids off between 12:30-4:00PM! ✣ FESTIVAL CHECK-IN IS OPEN TO THE PUBLIC STARTING AT 11:30AM. Now that you have purchased your ticket, print it out or save it to your phone, and bring it with you to the festival. Once arrived at the check-in entry, show your ticket to our lovely volunteers tending the ticket booth. 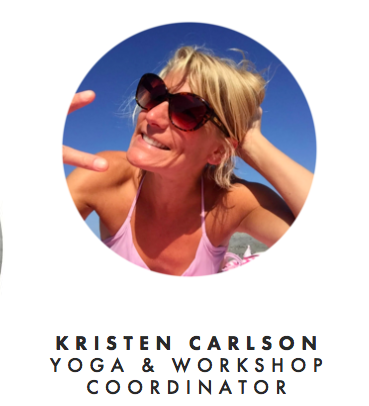 You'll receive a colored wristband that will give you access to attend all yoga classes, workshops, and live music! 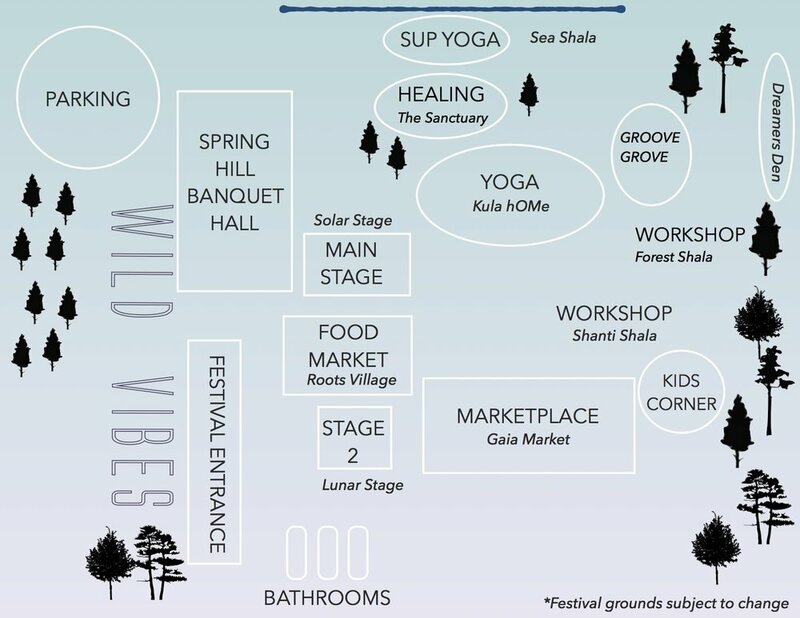 ✣ The Wild Vibes Festival Welcome Ceremony kicks off at 12:00PM, and classes begin at 12:15PM. ✣ SUP YOGA: is located at the Sea Shala. With three different classes happening at 12:30, 2:00, & 4:00PM. SUP YOGA IS AN ADDITIONAL COST (to attend you must have either an all-access or music only wristband). and is a first come first serve basis. There's just a few spots remaining so we suggest purchasing your SUP Yoga ticket ahead of time to reserve your spot. ✣ WATER! >>> Stay hydrated throughout the day by bringing a water bottle. Forgot your water bottle? Don't worry! Special limited edition Wild Vibes waterbottles available for purchase! ✣ Camera/IPHONE >>> Capture the magic of the day, and be sure to hashtag #wildvibesfest2018 #namastewild #liveyourwild to share photos! ♥ Visit the ROOTS VILLAGE to fuel up all day long! ....grab a healthy bite while you shop from over 30 unique artisans and vendors from around the globe at the GAIA MARKETPLACE! and say hello to our TWO new editions! 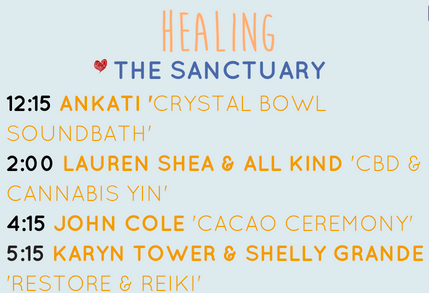 THE HEALING SANCTUARY & THE GROOVE GROVE! The healing sanctuary provides an opportunity for you to restore and receive healing love from our highly qualified and professional healers and guides. You can take a workshop, meditate, or receive FREE healing services from our guides who will be in the sanctuary all day long! AND! 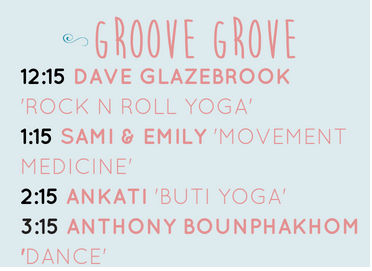 Get your groove on over at the GROOVE GROVE! New this year, Wild Vibes is offering KIDS CAMP! Drop your kiddos off for the morning or afternoon session (or both!) so that you can enjoy all the festivities while your kids are having more fun over in the kids camp corner! Kids ages 12 & under are free to enter Wild Vibes Festival! 3:45- 4:00- crafts and games! 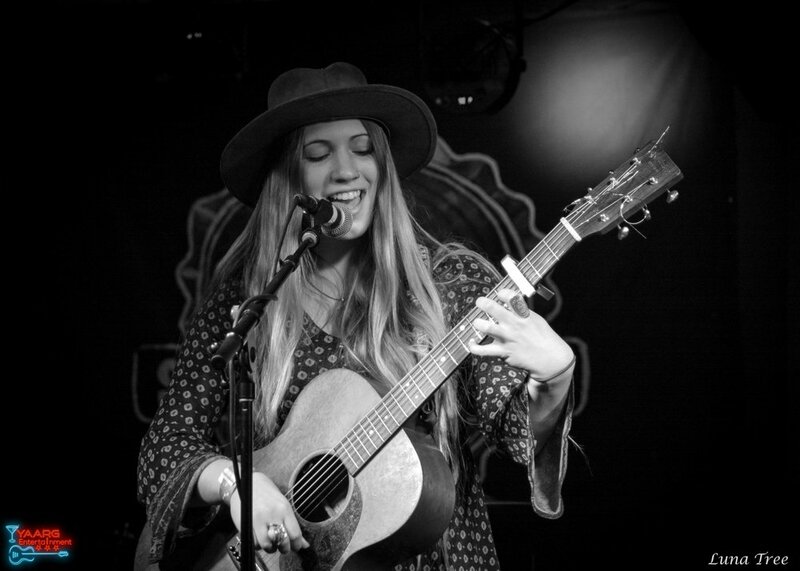 Listen to live music all day long on two different stages. Your music only or all-access festival pass gets you access to view all live music. Get your ticket here! 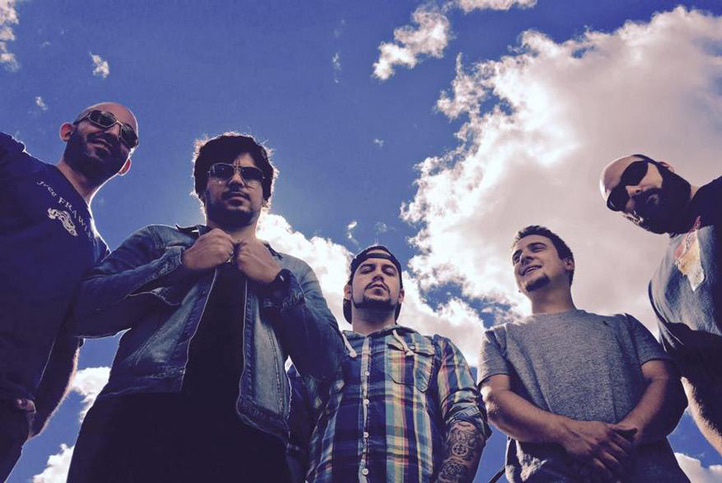 Wild Vibes is stoked to welcome headliner >>> RYAN MONTBLEAU BAND! To get you even more excited, we've compiled a playlist of the 2018 #wildvibesfest artists! Check it out! 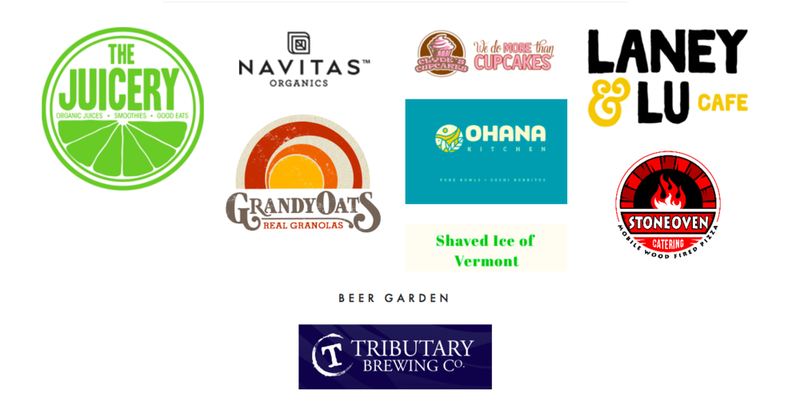 ♥ Thanks to these awesome businesses: MR FOX & SUSTAINABLE SEACOAST for helping us move Wild Vibes Festival into a waste free event in years to come! Receive friendly updates with festival happenings and exciting things ahead for Wild Vibes >>> like the WILD VIBES RETREATS!!!!! ♥ See You Saturday July 28th! Last year's wild-ness. We're ready for Wild Vibes Festival 2018!